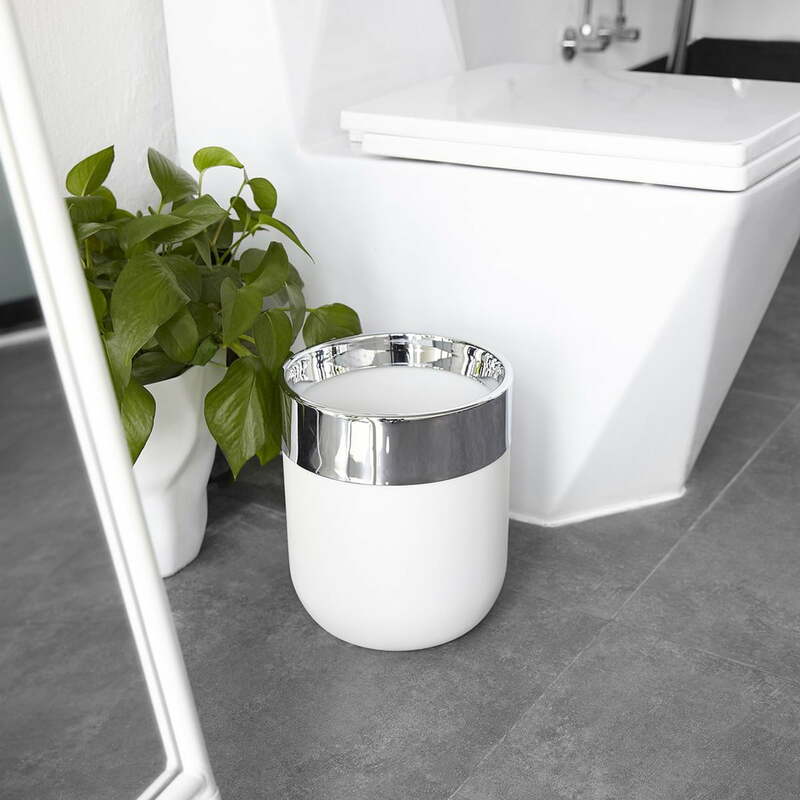 The Junip waste bin from Umbra is distinguished by its elegant design, which fits perfectly into any bathroom or kitchen ambience. Its rounded shape ensures a harmonious appearance and is additionally emphasised by the combination of the two colours. While the lower part is made of white plastic with a pleasantly soft pebble stone feel, the upper part is made of chrome-plated stainless steel and thus sets shiny accents. The waste bin can be wonderfully combined with simple bathroom accessories. The capacity of the bucket is 8 litres. 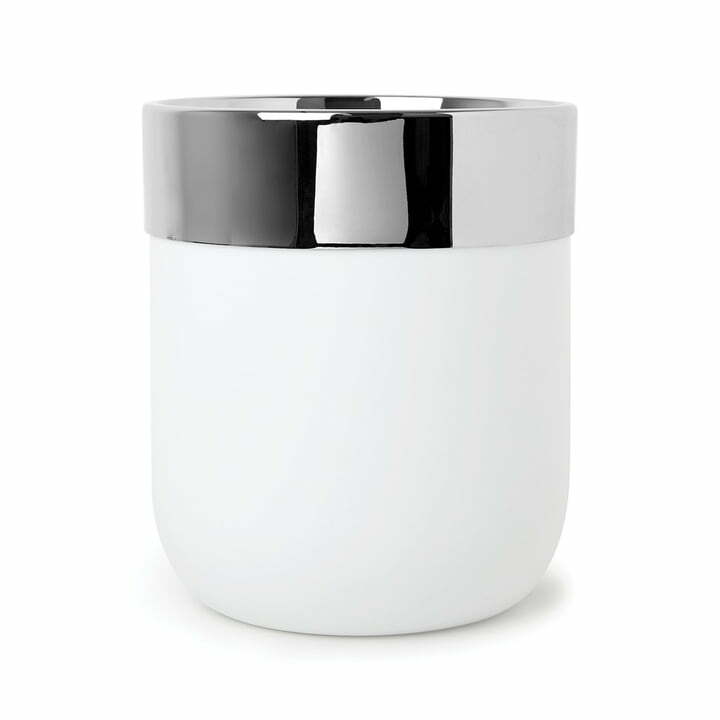 Junip waste bin in chrome / white of Umbra in single view. The Junip waste bin from Umbra is distinguished by its elegant design, which fits perfectly into any bathroom or kitchen ambience. Junip waste bin in chrome / white from Umbra in the ambience view. While the lower part is made of white plastic with a soft, pleasantly soft pebble stone feel, the upper part is made of chrome-plated stainless steel and thus sets shiny accents.